Please help me welcome our April 4th guest speaker, Florinda Ferguson. 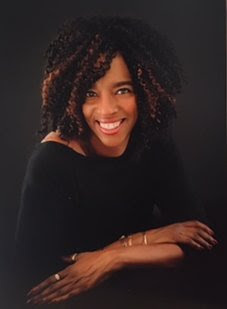 Lynette Turner is a Positivoligist, Positivity Life Coach, author, Certified Angelspeake Facilitator, teaches dream interpretation techniques, and is a Reiki and sound healing practitioner, singer and musician. This presentation will empower you to take steps to further enhance your life and ensure that your journey is one full of rewarding experiences. Lynette is also an ordained interfaith/interspiritual minister. From Anchorage, Alaska, she currently resides in Milford CT. Her motto is, It’s all about B.L.I.S.S., Believe Life Is Something Special, because it is, and so are you! Join us February 7th for our 2 hour program Where Am I and Where Am I Going? This program is an exploratory journey into self. Each of us has beliefs and habits that obstruct our ability to live in the present moment. In this program we use experiential processes and gentle movement to examine beliefs and habits that may be limiting creativity and joy. We provide participants with opportunities to discover a heightened awareness of self. We believe these tools can help to live a more a authentic life. This program is a good fit for any adult that would like to be more in touch with their authentic self. The Yoga and movement will be appropriate for all levels and can easily be modified to address needs and concerns. 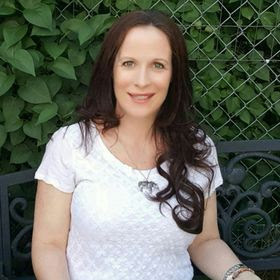 DJ Horn is a multi-dimensional therapist delicately weaving together the principles and practices of Physical Therapy, Craniosacral Therapy and professional counseling to meet the unique needs of her clients. 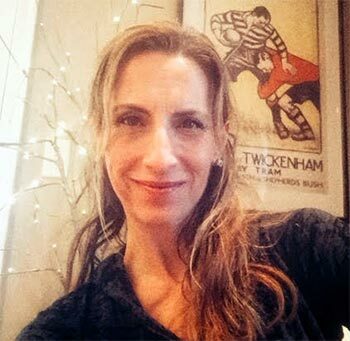 DJ received her degree in Physical Therapy from University of Connecticut, is certified in Craniosacral Therapy from the Upledger Institute and received her Master’s degree in Professional Counseling from Central Connecticut State University. DJ has lead and assisted many trainings that encourage self-reflection, mindfulness and living authentically. For more information, please visit www.integratedlifetherapy.com. Dr. Kathleen Wawrzyniak Webb, PsyD is a parent and licensed clinical psychologist with over 15 years experience working with children, teens, adults, and families. She has provided workshops, psychotherapy, and assessment services across many settings including long-term inpatient, in-home crisis, outpatient community clinics, and private practice. Greater Hartford Wellness, LLC is her private practice which aims to support individuals to live authentically through embracing self-acceptance, utilizing strengths, and nourishing dreams. For more information about Dr. Webb’s services, go to www.greaterhartfordwellness.com or email her at kathleen@greaterhartfordwellness.com. 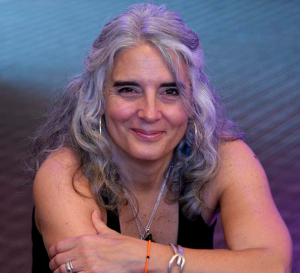 Sharon Archer Smith is a certified Kripalu yoga instructor. She has assisted yoga and meditation workshops at Kripalu and is especially influenced by its emphasis of self-observation without judgement. She began teaching yoga upon retirement from a long, interesting corporate career which included facilitation of workshops in strategy development, problem solving, and system design. Sharon sings in a kirtan band and writes poetry. 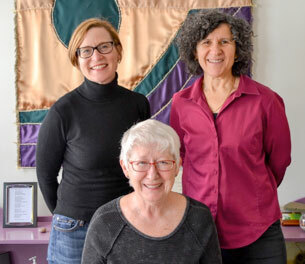 “Yoga has helped me find the pure pleasure in being alive on this planet.” Sharon teaches in central Connecticut at West Hartford Yoga www.westhartfordyoga.com. Join us in welcoming Guest Speaker Jim McNerney on January 3, 2019. 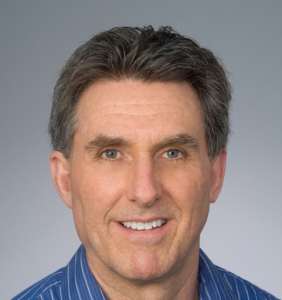 Jim McNerney is a licensed Inspire Your Ideal facilitator. Inspire Your Ideal was created by the Wholebeing Institute. Additionally, at the end of January, 2019, he will complete his course work and become a certified and licensed Positive Psychology Coach through the Wholebeing Institute. Jim is also a certified Mind Body Eating Coach through the Institute for the Psychology of Eating. Join Jim McNerney for an evening of discovering your own spiritual, physical, intellectual, relational, and emotional strengths. Jim will share tools for building upon your strengths and creating a happier and more fulfilling life. This will be a very interactive presentation, including practicing the tools that Jim shares. Join Terry Wolfisch Cole for an evening devoted to discovering the power of your story. We’ll begin by learning about Terry’s journey to the stage and the joy that one impulsive encounter brought to her life, then learn some tips for effective and engaging personal storytelling. The evening will conclude with an invitation to step up to share your story, or simply to sit back and listen to others’. Terry Wolfisch Cole is the founder of Tell Me Another, a Hartford-based storytelling show. She teaches people to find and craft the tales of their unique experiences and provides an outlet for them to tell their stories. Her award-winning story “The Runaway” has been featured on the Moth Radio Hour and in the pages of Readers Digest. You’ve felt the itch to make a transition in your career, relationships or health. But where do you start? And how do you navigate the uncharted territory of your calling without slipping back into old patterns or turning the good things in your life upside down? In our evening workshop we’ll blend soul with science, integrating tools and practices based on research from the fields of positive positive psychology and life coaching, and we’ll rediscover the wisdom you already carry within you to help you find your path to clarity, calm and meaning…and just a little bit more happy! Maria Sirois is a master teacher, facilitator and author. She is devoted to the science of well-being and the art of crafting a life and a work that embodies health, passion and success. As a positive psychologist (Psy.D.) and consultant, she focuses on the resilience of the human spirit particularly when under chronic stress, during significant transitions or changes, and/or feeling the shock of wholesale change. 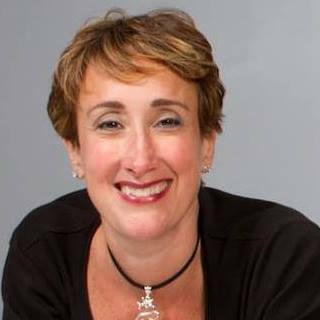 Known for her wisdom, authenticity and rampant humor, Maria brings a depth of experience in leadership development and stress management for corporate and non‐profit professionals alike. 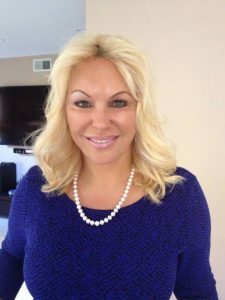 Her work in the medical, legal, human service, financial, technology and educational sectors focuses on building capacity and engagement around chronic stressors such as conflicting goals, difficult conversations, unrealistic expectations and moments of failure — using such moments to leverage sustained positive shifts in perspective and ability. Her home is in the Berkshire Mountains where she attempts on a daily basis to love her children well enough so that they too find a way to embrace the world with a grounded optimism and a sense of their own strengths. And on most days, she remembers to feed the cat. Karlee Fain, author, speaker, and teacher, knows that burning yourself into the ground to achieve your goals, is an outdated approach; we all thrive through nourishment, not punishment. Instead, she bridges soul with proven science to show her clients how to reclaim a life and career that are deeply fulfilling and prosperous. For years, Karlee worked exclusively with celebrity clients, successfully showing the high-profile leaders of our culture how to create and sustain peak performance by cultivating deep self-care as part of an effective business strategy. Her clients win Grammys, launch fulfilling businesses, and play professional sports while having time for a personal life and family. But she began to wonder: what about people that don’t have an entourage, don’t they deserve to thrive too? 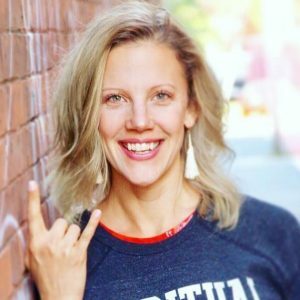 Now Karlee works privately with “every day rockstars” and in corporate and education setting, with people who want to have the “Big 3” – a thriving career, health & relationships. You can expect to walk away from a session with Karlee knowing the doable steps to leverage joy, rest, clarity and your authentic values, to live a career and life you love. Karlee’s speciality is showing driven people how to reclaim more time in their day. Learn more about what is possible for you when you have the space to breathe again at EveryBodyThrive.com. YOU’VE PAID TOO MUCH FOR YOUR UNHAPPINESS! LEARN ABOUT BEING HAPPY AT HAPPY U! Senia Maymin, Ph.D. in Organizational Behavior from Stanford, is a consultant and executive coach whose clients include Google, Intel, and VMware. Maymin runs Silicon Valley Change Executive Coaching. When entrepreneurs and executives seek far-reaching productivity improvements, they call on Maymin as an executive coach and workshop leader. 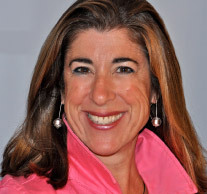 Maymin is the coauthor of the business book Profit from the Positive (McGraw-Hill Professional, 2013), and the co-business columnist for Live Happy Magazine. 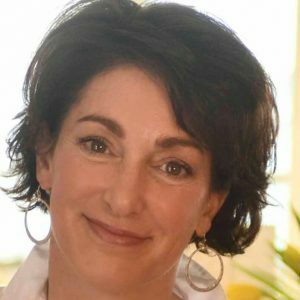 Maymin has been featured in the media—including PBS’s This Emotional Life, Business Week, The Wall Street Journal’s MarketWatch, and USA Today—primarily for her work as a positive psychology executive coach. Maymin founded and is editor in chief of a research news website featuring more than 1,000 articles by over 100 authors. She has worked in finance on Wall Street and in technology as cofounder and president of two start-ups. Maymin holds a BA in Math and Economics from Harvard, a Master of Applied Positive Psychology from the University of Pennsylvania, and an MBA and PhD in Organizational Behavior from the Stanford Graduate School of Business. She speaks Russian, French, and Japanese. She lives with her family in California. Profit from the Positive is a practical, groundbreaking guide for business leaders, managers, executive coaches, and human resource professionals. Whether you lead three employees or 3,000, this book shows you how to increase productivity, collaboration, and profitability using the simple yet powerful tools from the new field of Positive Psychology. IT’S NOT WHAT MAKES YOU HAPPY. IT’S WHAT YOU ALLOW YOURSELF TO LOSE YOUR HAPPINESS TO. YOU WILL HAVE THE OPPORTUNITY TO CONTINUE TO LEARN TO KEEP YOUR HAPPINESS NO MATTER WHAT. HAPPINESS IS A LANGUAGE YOU MUST LEARN IN ORDER TO COMMUNICATE WITH YOURSELF AS WELL AS OTHERS. IT’S ALL ABOUT HAPPINESS! YOU CAN BE HAPPY RIGHT NOW AND FOR EVERY MOMENT FOR THE REST OF YOUR LIFE. Being Happy is the most powerful skill you can learn. Happiness empowers greater insight in each of us to further a collective vision of world peace. Your reasons to take part in this course. · Become a happier person. · Become a better person. · Improve the management of your emotions. · Become more emotionally competent. · Learn new problem solving tools and techniques. · Eliminate half your problems. · Feel more positive emotions in your life. · Most important reason to have sustainable happiness is to enjoy a consistent life. 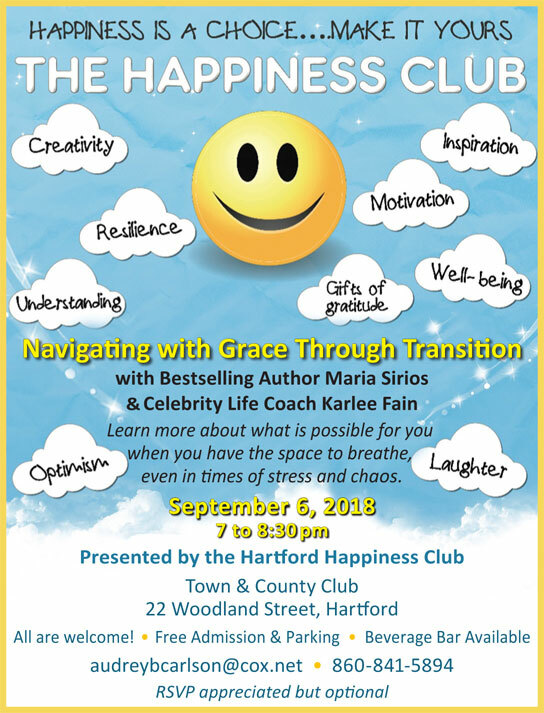 Please join us in welcoming Life Coach Lisa Brown on August 2, 2018 from 7-8:30 PM at Hartford Happiness Club. Through humorous anecdotes, that include, of all things, a garage door and dirty dishes, Lisa Brown will have you feeling better from the inside out. We all have something that gnaws at us, frustrates us, or we feel badly about. Now, let’s shift those negative feelings to positive feelings. Lisa will help you learn to lift that weight from you’re your shoulders, to make your daily life more pleasant. We can increase and create happiness through our thoughts.Lisa’s approach is realistic; she will help you develop the skills to be aware of the thought that create negative feelings, and to convert them to positive ones. She will tell you, “If you don’t like how you feel about something change your thought!” We may not be able to make every situation rosy but we can certainly find a way to feel better. When all else fails, use Lisa’s secret weapon: LAUGH!